Burundi is currently undergoing an electoral crisis whose outcome is vitally important for the United States, African countries, and the world as a whole. This article explains the current crisis, its meaning within the context of American foreign policy, and what the U.S. can do to resolve the conflict. During the period of European colonization of Africa, Burundi was a part of the German and later Belgian colony of Ruanda-Urundia. In 1962, Ruanda-Urundia separated into the country of Rwanda to the North and Burundi to the South. As they did in Rwanda, the European colonial administrations cultivated and exacerbated tensions between Burundi’s main ethnic groups, the Hutu, Tutsi, and Twa, which exerted a major impact on the two countries’ later development. Since its independence in 1962, Burundi has experienced numerous difficulties. The country has suffered from conflict, corruption, poor access to education, and a substantial brain drain, a process whereby numerous talented youths who would otherwise contribute to the country’s development have left in pursuit of better opportunities elsewhere. In particular, the ethnic tensions between the Hutu and Tutsi from the colonial period contributed to major outbreaks of inter-ethnic violence that cost hundreds of thousands of lives. However, whereas the Rwandan Genocide (1994), the most prominent of these conflicts in Rwanda, only lasted around 100 days, the Burundian Civil War (1993 – 2005), the most prominent of these conflicts in Burundi, dragged on for over ten years. Burundi’s long stretch of instability has made its developmental situation more difficult that those of its neighbors. During the beginning of the 2000s, as a result of the destruction that the Burundian Civil War wrought, many designated Burundi as a failed state whose high level of instability merited comparison with Afghanistan, Liberia, and the Democratic Republic of Congo (DRC). While, recently, Burundi has experienced modest economic growth, it has not matched that of it neighbors because of the high penalty on growth that its conflicts and poor governance have imposed. As a result of these various processes, by almost all macroeconomic measures, Burundi is not only one of the poorest countries in the world but also one of the worst off in the Great Lakes region of Africa. The Burundian Civil War (2005) ended with the integration of rebel groups into Burundian society and the institution of a new constitution for the country that was intended to facilitate a democratic transition. Rebel groups such as National Council for the Defense of Democracy – Forces for the Defense of Democracy (CNDD–FDD), a Hutu nationalist organization that formerly fought against the Burundian government, transitioned into major political parties. In 2005, during the first elections in decades, Pierre Nkurunziza, the leader of CNDD–FDD, became Burundi’s president. After more than a decade of strife and developmental stagnation, some had expressed cautioned enthusiasm about Burundi moving forward. However, in April, defying the two-term limit prescribed by the constitution, President Pierre Nkurunziza announced his intention to run for a third term. In doing so, Nkurunziza is following in the footsteps of other Sub-Saharan African leaders, such as the President of Zimbabwe Robert Mugabe and the President of Equatorial Guinea Teodoro Obiang, who have established themselves as personalistic, authoritarian leaders with a thin veneer of democratic legitimacy. However, across Africa, there has been a recent push from civil society, the international community, and state institutions to prevent leaders from exceeding their democratic mandates. A prominent example of this process in action occurred last October when the military of Burkina Faso ousted President Blaise Compaoré, the country’s long-time leader (1987 – 2014), when he attempted to bypass constitutional limits on his electoral eligibility. 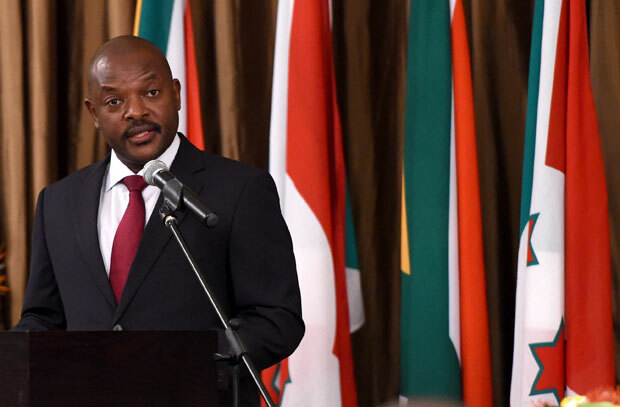 Drawing on this burgeoning norm, African leaders, large swaths of the Burundian people, and a wide range of actors in the international community have called called on President Nkurunziza to withdraw his candidacy and step down at the end of his term. There have been numerous, ongoing protests against the Burundian government and, earlier this month, when Nkurunziza was attending an East African Community summit in Tanzania, Maj. Gen. Godefroid Niyombare announced over radio that the Burundian military had overthrown the president’s government in a coup d’etat. However, the coup failed and Nkurunziza has since deployed parts of the state’s security apparatus to beat back protesters, intimidate opposition leaders, and crush dissent. A prominent example of the escalating violence occurred recently when Zedi Feruzi, a prominent opposition and political party leader, was found shot dead in the capital of Burundi, Bujumbura. In order to enhance his perceived legitimacy, President Nkurunziza has also secured a ruling from Burundi’s constitutional court supporting his eligibility for the upcoming election. However, in line with the state’s general crackdown, at least one of the seven judges has reported that the court’s justices faced “enormous pressure and even death threats” if they did comply with Nkurunziza’s desired outcome. 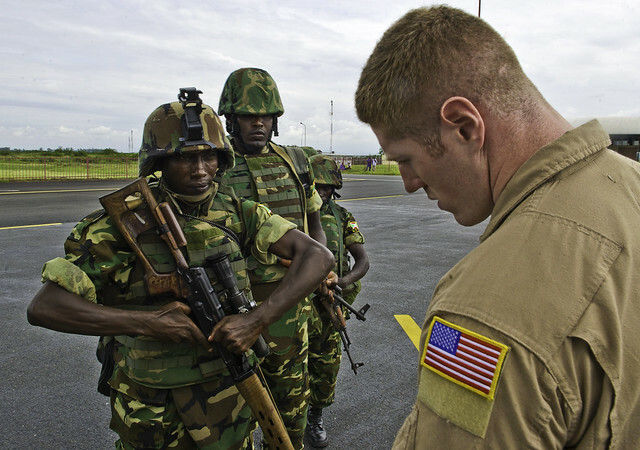 Burundi is an important contributor to U.S.-supported peacekeeping efforts in Africa. Burundi is the second highest contributor to the African Union Mission in Somalia (AMISOM), a regional peacekeeping force that is operated by the African Union, sanctioned by the United Nations, and supported by various international actors such as the United States, with 5,432 troops currently deployed. Burundi’s troops aid AMISOM in rebuilding the Somali state, defeating the insurgent group al Shabaab, and restoring stability to the Horn of Africa. In addition to Somalia, Burundian troops have been integral in peacekeeping operations in other African countries such as the Central African Republic. Since the United States supports these peacekeeping operations, it has a clear interest in Burundi’s role in them and has furnished the country with military aid and training, totalling more than $100 million since 2007. However, the crisis in Burundi is endangering these initiatives for two reasons. Firstly, the continuing unrest could force Burundi to recall its deployed troops; and secondly, President Nkurunziza’s authoritarian posture and harsh crackdown have caused the U.S. to announce a probable suspension in current military aid to Burundi unless the situation improves. The region encompassing the eastern Congo and western Great Lakes, the area in which Burundi is located, has experienced high levels of instability and armed conflict by various factions because conflicts originating in one country have often spilled over borders into surrounding countries. Thus, increased instability in Burundi will no doubt contribute to increased violence, displacement, and instability in the surrounding region. In line with this trend, there have been reports of hundreds of thousands of refugees fleeing Burundi, which risks overwhelming the health and sanitation infrastructure in the neighboring countries to which they are traveling. 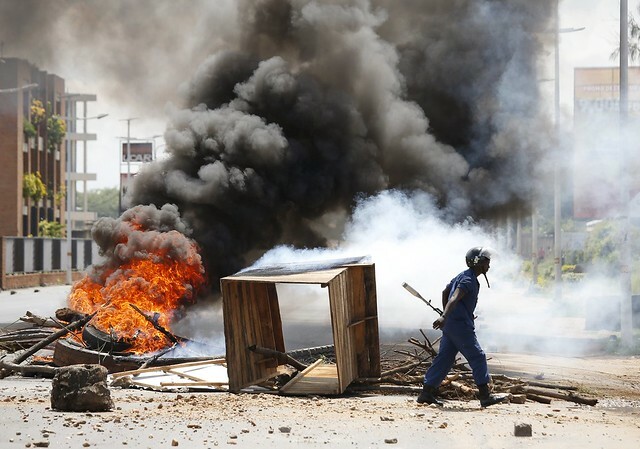 Inside of Burundi itself, protesters have been injured and killed in clashes with police forces, and there are fears that the unstable environment could reignite the smoldering ethnic tensions between the Hutu and Tutsi. As with other regions of the world, the United States firmly supports democratic governance and institutions. Democracy helps different groups and individuals to balance resource-allocation and the pursuit of individual preferences more effectively than other types of rule. However, while the system generally stabilizes after a few generations, a country undergoing the first decades of democratic rule is fragile and fairly susceptible to a collapse into anarchy or a gradual resumption of authoritarianism. There is no doubt that, with the onset of its current crisis, Burundi is at such a crossroads, the outcome of which is important not only for the future of democracy in Burundi, but also in Africa as a whole. If President Nkurunziza succeeds in undermining the democratic structures of Burundi, democratically-elected leaders around Africa will be more likely to follow his example by exceeding their own mandates and employing the power of the state to silence the opposition. The United States has a clear interest in seeing that this does not happen and that African democracies are allowed to mature and develop, allowing democratic norms and institutions to proliferate throughout the continent. Along with other international actors like Belgium and the European Union, the United States has already taken steps toward freezing its support to the Burundian government and should continue to do so until the situation improves. Of course, a freeze in government aid does not mean that the U.S. should freeze its humanitarian aid, which is becoming much more important as instability increases in the country. Furthermore, the U.S. should not only exert its own diplomatic pressure, but also it should support the efforts of African organizations like the East African Community, which has called for an emergency summit to find a solution to the crisis, and the African Union. Having established the United States’ clear interest in the outcome of the current crisis in Burundi and policies that it should adopt, it should do all that it can to resolve the situation as soon as possible, especially because it appears that circumstances are taking a turn for the worse. ‘more difficult’ Christopher Vourlias, “Burundi’s Once-Lively Capital Reemerges; After 15 Years of Civil War, Burundi’s Capital Begins to Bustle Once again,” The Washington Post, Jan 24, 2010. ‘cautioned enthusiasm’ Christopher Vourlias, “Burundi’s Once-Lively Capital Reemerges; After 15 Years of Civil War, Burundi’s Capital Begins to Bustle Once again,” The Washington Post, Jan 24, 2010. ‘Central African Republic’ Craig Whitlock, “U.S. to Airlift African Troops to Central African Republic,” The Washington Post, Dec 10, 2013.